Entering Sin Seng Nam is a blast from the past. The walls are adorned with old photographs and the high ceiling gives you a nostalgic feel. I’ve never been to this old-school establishment, which has been around for about 80 years. The business is now manned by the third generation, and unlike a few old-school coffeeshops around, it doesn’t seem to be slowing down. Seng Nam is still packed with patrons, ranging from office workers to retirees. I visited the place with my fiance’s parents, who raved about its mee rebus and chicken chop. 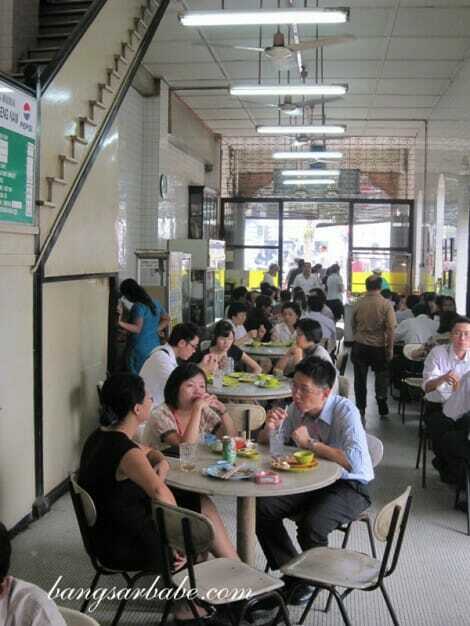 “I’ve been eating here quite frequently ever since I came to KL. That was almost 40 years ago,” said his father. The famous Hainanese chicken rice was sold out half an hour before we arrived. 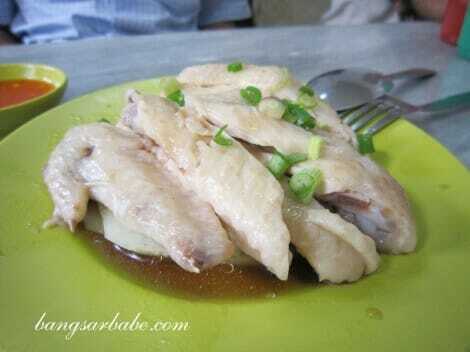 What was left, was a plate of poached chicken wings (RM4.50). I decided to take it anyway as I wanted to see why people raved about this dish. Turns out, the chicken flesh was smooth yet firm, and the light gravy complemented the meat pretty well. The mee rebus (RM4.50) was also quite tasty. Rif’s parents would usually buy me a packet to eat, but I must say, having it there was so much better. The gravy was spicy, thick and slightly sweet, and the noodles were springy to the bite. 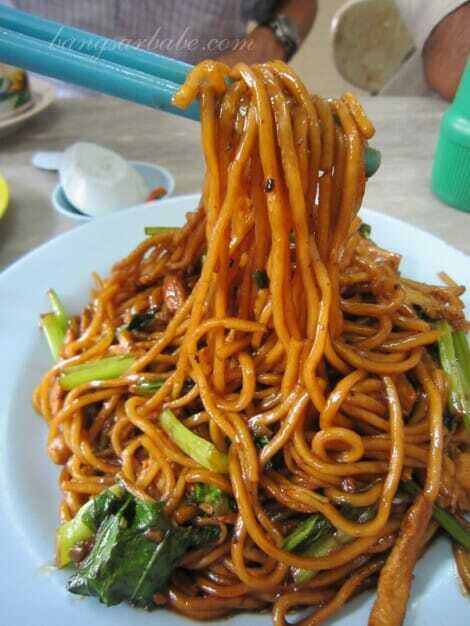 I didn’t care much for the Hailam Mee (RM5.50) but the noodles were decent and came with plenty of chicken slivers. Judging from the plates on almost every table, another popular dish at Seng Nam is the Indian rojak (RM4.50) from the same stall as the mee rebus. 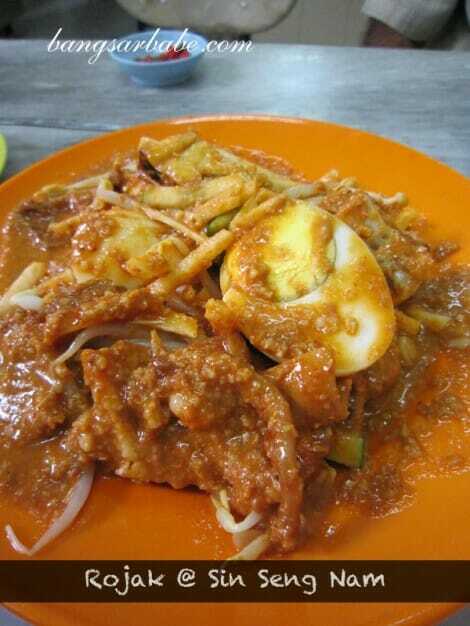 If you like your rojak spicy, then this is the dish for you. The rojak gravy was peanut-y and packed quite a punch. 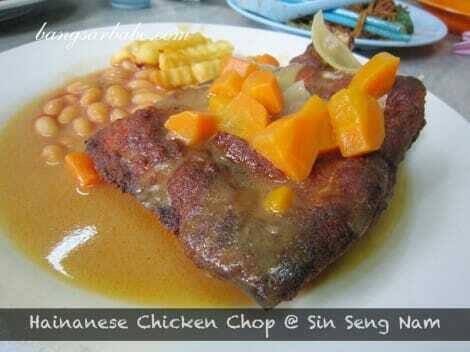 I’ve been curious about the chicken chop here, as many people have raved about it. 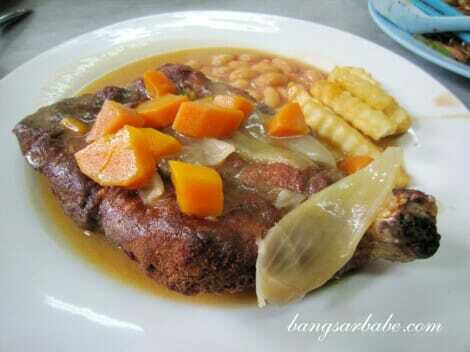 “Wah, last time I only paid RM4 for chicken chop. Now it’s RM11!” Rif’s dad lamented. Talk about inflation! The chicken chop here was typically old school. Marinated, dipped into a flour batter and deep-fried till crispy, the chicken was tender and aromatic. 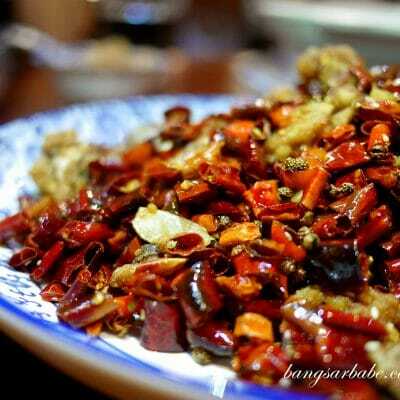 It reminded me of the nam yue chicken which I enjoy every now and then. The light brown gravy paired nicely with the chicken, but I didn’t care much for the crinkle-cut fries. These looked and tasted as though they were of the frozen variety. 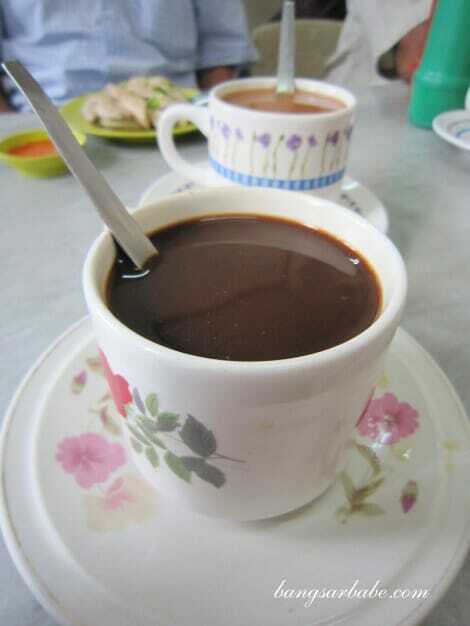 My kopi panas (RM1.30) was “kao” and of just the right sweetness. I was told Sin Seng Nam makes pretty good toast and half-boiled eggs; all the more reason I should pop by for breakfast one day. Service was quick but bordering on rude – most of the employees were mechanically efficient or trained to just get the food and drinks out as fast as they can. *Read my Star2Sunday column on Sin Seng Nam HERE. Verdict: Pretty decent chicken chop and one of the best mee rebus in town! i just want to look for the mee rebus that has the yellow colour old fashion way …cause now we will get the red colour ones that i don’t really like n the taste is different……. I think you might like this one. Such a pleasant surprise to read this in The Star.My grandad started this coffeeshop.He is no longer around.But he would definitely be happy to know his coffeeshop is still as busy.We spent Sundays here when we were growing up running up and down the 3 storeys.Am not sure if they still make their own kaya but my grandad used to cook kaya in a huge barrel every Sunday when the coffeeshop is close.The coffeeshop is now run by my mom’s cousins and their family.I have not been to the coffeeshop for so many years as I don’t live in KL anymore.Thanks for bringing back good memories. Ya, it is surprise. when i read it on e-paper yesterday in Manila, so wants i touch town, I wen to eat there this morning, I was so awesome. nice design on your blog. Keep up the good work.